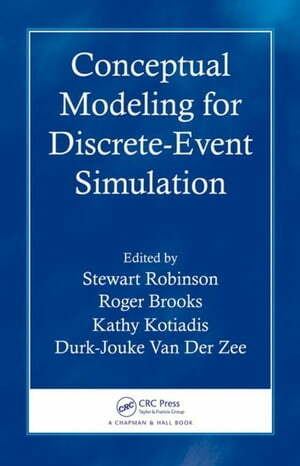 Collins Booksellers - Conceptual Modeling for Discrete-Event Simulation by Robinson, Stewart, 9781439810385. Buy this book online. How is conceptual modeling performed in general and in specific modeling domains? What is the role of established approaches in conceptual modeling? Each of the book's six parts focuses on a different aspect of conceptual modeling for simulation. The first section discusses the purpose and requirements of a conceptual model. The next set of chapters provides frameworks and tools for conceptual modeling. The book then describes the use of soft systems methodology for model structuring as well as the application of software engineering methods and tools for model specification. After illustrating how conceptual modeling is adopted in the military and semiconductor manufacturing, the book concludes with a discussion on future research directions. This volume offers a broad, multifaceted account of the field by presenting diverse perspectives on what conceptual modeling entails. It also provides a basis upon which these perspectives can be compared.